Beachwood Golf Course is very conveniently located. It is a short drive from all of the finest Myrtle Beach area accommodations and Grand Strand attractions. As a result, this makes it a favorite addition to any Myrtle Beach golf vacation. 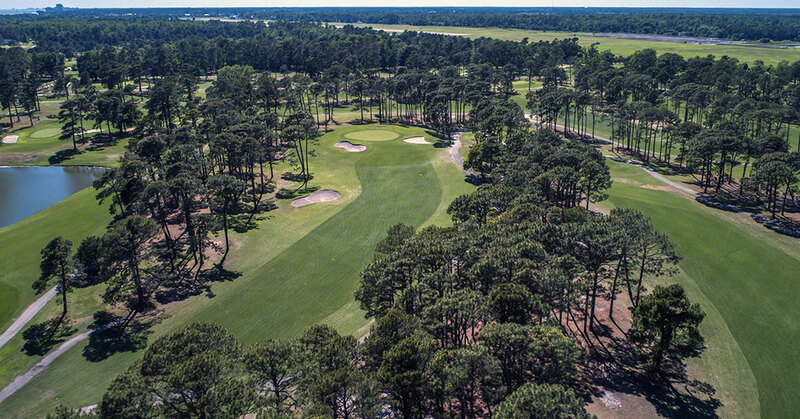 Beachwood’s reputation is one of the best conditioned golf course on the Grand Strand. This reputation is only surpassed only by years of dedication to quality customer service. This had made the course a favorite among both local and visiting golfers for years. Beachwood Golf Course offers a golfer-friendly eighteen hole championship golf course. The great Gene Hamm, a former professional golfer in the 1950’s and 1960’s, designed the course. He also famously designed the Duke University golf course. He was adamant that Beachwood would wind its way among sparkling natural lakes, dazzling floral displays, and communities of inquisitive wildlife. The 18-hole championship course has hosted many prestigious events over the years. Famous events such as the Carolina’s Open, the Carolina Senior PGA Championship, and the Grand Strand Amateur. Beachwood provides four sets of tees for golfers of all skill levels. It also features a complete practice facility to sharpen your skills before play. A fully stocked pro shop, snack bar, and comfortable lounge are also located on the premises. All of these features help to make Beachwood Golf Course the perfect blend of convenience and quality. And don’t forget that all of this in included at an affordable price. SIDE NOTE FROM GOLF DIRECTOR: Beachwood is the course where I personally learned to play this wonderful game of golf. Therefore it will always hold a place in my heart, and I certainly recommend it to anyone visiting the area.